A lot goes in to creating something worth while, and as with everything we do at The Lowly Gentlemen, we've gone to the corners of the world to bring a dream to fruition. We're pleased to announce The Lowly Gentlemen Driving Gloves. Glove making is a dying trade, with few remaining who are capable of doing it, and even fewer who are capable of doing it well. It was important to us that we found quality materials and patterns to craft the best possible driving gloves. The search led us through the streets of LA and amongst the warehouses of the district as we sifted through the complex network of pattern makers. We knew our search had come to an end when we met with a third-generation Hungarian glove-maker, one of the few remaining in the United States, and perhaps one of the last. For her, glove making has been a life-long passion, passed down from her parents and their parents too. Skillfully hand crafted from Ethiopian lamb leather and tailored to fit flawlessly, her gloves become an extension of the hand. Once we put on a pair of her gloves, we knew there was simply no other option, that no other glove could come close. It was the ultimate opportunity to create something that had been in the works for quite some time, and it was a chance to do it perfectly. 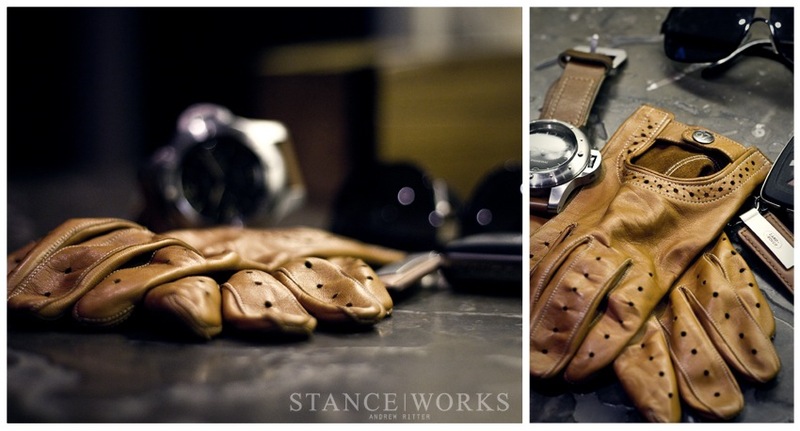 The driving glove exemplifies the essence of The Lowly Gentlemen. The perfect accessory to true driving enthusiasm, it is rooted in the history of racing, embracing the heyday of the open wheels and carburetors. The tradition of the driving glove is one that may have subsided in recent times but it is one that will never die, and it is the mentality behind the driving glove that represents who we are and what we strive for. The driving glove connects a man and his car in ways little else can. It's as though the tires grip a little bit harder, the engine revs a slight bit higher, and the only 3 elements that comprise the world are air, fuel, and spark. Driving gloves are more than an article of clothing; they are an essential part of the motoring experience. Head on over to our store and check them out here.